Last week my new book got rolled out on Amazon.com, which means two things. Thing One: I can now talk about it. Thing Two: I guess I need to start writing this sucker now. Just kidding. Almost done, promise. 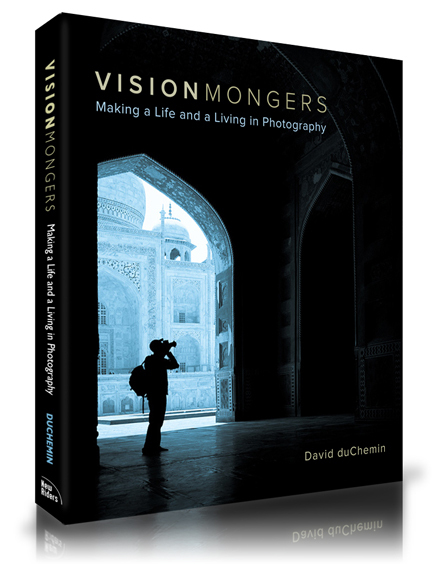 VisionMongers: Making A Life and a Living in Photography is due out in November/December. Amazon lists it at December 25 just to be safe but it’ll be out before then. If you were asking me about it, and I know you want to, I’d tell you it’s a sketchbook of ideas about the pursuit of professional photography. But it’s more than that. See, I think the lines between so-called professional and so-called amateur are getting so blurred as to be almost meaningless. Same with the actual definitions of those words, so I approach this from a different angle; that of vocation and the notion that some of us do this not to make a million but because we simply can’t not do it. We feel called to it; by God, or our talent, our need to express ourselves, or just that persistent voice inside our heads that we can no longer ignore. So this is a book about following that call – it begins with passion and vision, taking inventory of ourselves, picking a niche, familiarizing ourselves with our market, and then taking our vision to market with the best marketing savvy and business acumen that we can. Within The Frame talked a lot about the balance between the artist and the geek, VisionMongers discusses the balance between craft and commerce. Throughout the book are stories about other photographers from other niche markets, people like Chase Jarvis, Zack Arias, Gavin Gough, and Ami Vitale. These case studies look at the unique journeys each of us have taken to pursue our calling as photographers, and the commonalities among them. I’m writing it, and nearly done, because I love what I do and can’t imagine doing anything else with my life. Every day I get emails from people who want to do this, make a living with their vision and their cameras, and wanting some advice. The thing is we all have a different journey, different passion and vision, and a different path to get here. 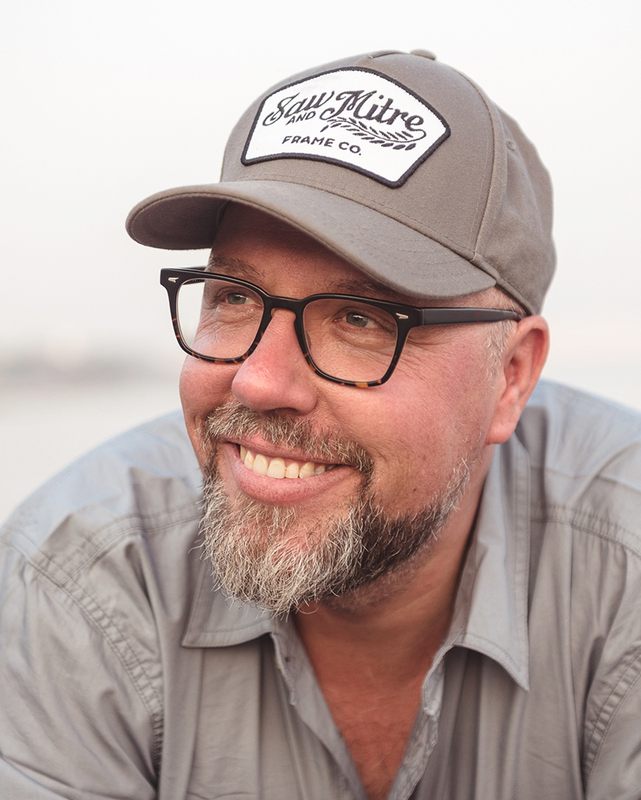 So this is no road map, no book of secrets – because there are none – just a book of solid ideas about how to make a life and a living in photography, though specifically for the freelancer/entrepreneur, which these days is the bulk of us. I wrote this book to help others find the same joy and purpose in vocational photography as I’ve found, whether that’s full-time, part-time, or as a moonlighter. I like that you called it “Making a Life and a Living IN Photography” instead of “Making a Life and a Living FROM Photography”. That’s the key here, I think, and what sets your book apart from the rest. As Taylor and Serge already said, I’m looking forward to this as well. If you’ve got another book in you, David, you could put together a good trilogy for photographers. Any idea when it will be available for pre-order from the amazon UK site? I need some symmetry here so I’ll have to get this one as well! From the insights that you have always provided in your blog, I am sure this will be a great read. I am looking forward to it! I’ve already got my copy on “Pre-Order” status. This is great news, David . . . I really enjoyed Within the Frame. It seems you’re books are right in tune with my exploration into photography. Are you going to be offering signed copies like you did with your last book? Sounds awesome! It’s great that you have that bit about other photogs stories – how they got to where they are, I love that stuff, it’s encouraging, inspirational and generates ideas. Looking forward to reading it all. I can’t wait! After how much I enjoyed WTF, I’m putting VM on the top of my to-read list! As always, love your writing and photography! Looking forward to the new book. How about a teaser of the content? Maybe a small extract to get a sense of what it’ll be like. Not that I need more reasons to get it, I just want to know more! You do know that you don’t have to write a new book every time you want to visit NY, right? Actually, perhaps I shouldn’t tell you that as we’d like more books. Hmm, but NY would also like to see more of you. Tough choice. Do both! Congratulations on the book. It sounds fascinating and I can’t wait to read it. Congratulations, I can’t wait to read it. The title is great and the cover as a whole really grabs my attention, even if I didn’t follow the blog, were I to stumble across it in the bookstore I think I’d be forced to pick it up. Can’t wait. Loved Within The Frame so I’m sure I’ll love this one. I think you should arrange a book tour of Asia upon release (or at least a book tour of Taipei). Why oh why must you tempt me with such a delectable offering that is still so far away? Needless to say, I’ll be ordering one! I’m sure this book gonna be a great succes. This book sounds great. I am 61 years of age and my real passion in photography statred when I was in grade school when I bought my first SLR. I dabbled in it on anf off for years and now I want to get more involved as a paying hobby; I’ve been told over the years I have a great eye for photography and it’s a great and enjoyable. Pingback: Autoportrait sur fond blanc: Tu veux ma photo ? I just got in the book and can’t wait to finish it and write my review about it. This book is on point with the photography business and very inspirational. Dave, you made a new fan out of me! Thanks for the inspiration! Can we find it also as an e-book? Got VisionMongers as a xmas present. Excellent read. A ‘must have’ for anyone seriously interested in improving their photography business. Been doing wedding photography for 8 years and I’ll say that this is the Best book i’ve read in years. Just read about meeting the customer and discussing the exact details of the job. I went to this meeting for a wedding job. I meet the young bride and her parents. I was excpecting to discuss shots, poses, must haves etc. ALL they wanted to talk about was the timetable and how everything will fit in. I was sooo frustated. I wanted to talk pictures and their requirements. All they wanted to talk about was Timetables. Oh well thats REAL wedding photography for you. Pingback: Will Wohler Photography | Christmas List… Already! ?